Fresh out of cute in your life? 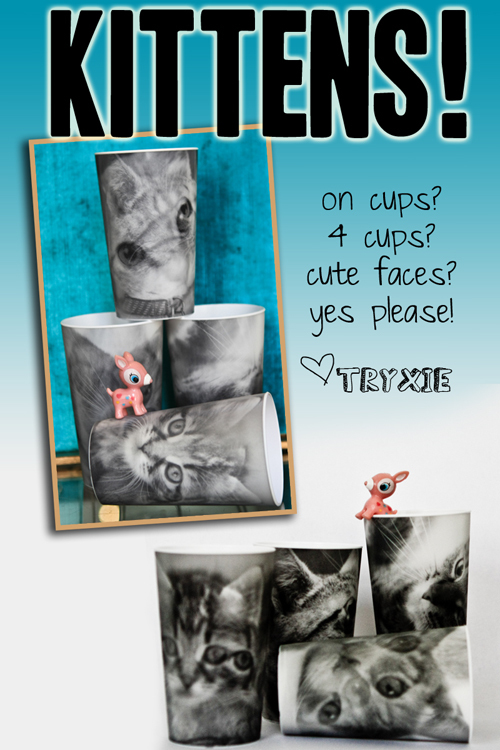 Here’s how to replenish your supply Brandy new to the shop are these adorable kitty cups! They come in a set of 4 and have a cool lenticular print on them. Like Mona Lisa, you can walk around and there will be some peepers looking at you… OK some might say creepy but I LOVE it!!! And you should too. This entry was posted in Uncategorized and tagged cups, kitty, tryxie by admin. Bookmark the permalink.